Indiana University President Michael A. McRobbie has awarded world-renowned operatic soprano and former IU voice professor Camilla Williams with the President's Medal for Excellence. The awards are among the highest honors an IU president can bestow. Williams, a professor of voice at the IU Jacobs School of Music from 1977-97, is known worldwide as the first African American soprano to perform in mainstream theaters and opera companies. In 1946, she broke the color barrier at the New York City Opera, singing the title role in Puccini's Madama Butterfly, and in 1954, she became the first African American to sing a major role with the Vienna State Opera, performing her signature part of Cio-Cio-San. She performed throughout the United States and Europe with some of the world's leading opera companies until her retirement from opera singing in 1971. Born in 1919 in Danville, Va., she sang the national anthem at the White House in 1963 and, that same year, before 200,000 people prior to Martin Luther King's legendary "I Have a Dream" speech at the Lincoln Memorial. She was one of the pioneering African-American opera singers profiled in the 2000 PBS documentary Aïda's Brothers and Sisters: Black Voices in Opera. She was also profiled in the 2006 PBS Documentary The Mystery of Love. Williams, who lives in Bloomington, was the first African American voice professor at IU and first African American professor at Beijing's Central Conservatory. 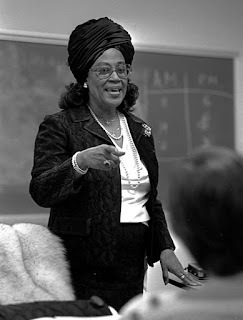 She was one of eight women honored in 2007 by the Library of Virginia during Women's History Month. 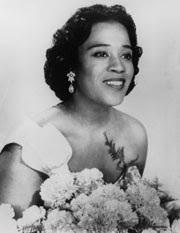 More recently, she was honored during a "Tribute to Camilla Williams" program, presented this past February by the New York City Opera and The Schomburg Center for Research in Black Culture. The President's Medal for Excellence is a reproduction in fine silver of the symbolic jewel of office worn by the president at ceremonial occasions. Criteria for recipients include distinction in public service, service to IU, achievement in a profession and/or extraordinary merit and achievement in the arts, humanities, science, education and industry. The award was first presented on Sept. 20, 1985, to members of the Beaux Arts Trio. For a complete list of winners, click here.